The BBC announced that it is extending its popular and highly successful Dig In campaign for a second year, with expert advice and information encouraging novice gardeners, young and old, to discover the simple pleasure of growing and cooking their own vegetables, starting this spring. Whether people have a garden, an allotment or a simple yoghurt pot on a windowsill, the BBC is calling on first-timers to learn how to cultivate their own vegetables, providing easy-to-understand information and expert encouragement every step of the way with a special BBC Learning campaign. Throughout the growing season, the dedicated Dig In website, and a national Dig In tour, will help growers to nurture and harvest their plants successfully. The impact of last year’s campaign was impressive, with 75% of those asked saying the seed starter pack motivated them to take part in Dig In, and 87% saying that they have now created a permanent vegetable patch (BBC commissioned research). The Dig In website will have a shed-full of information for each of the five selected vegetables with advice about sowing, growing and harvesting, providing regular updates to ensure support throughout the summer. This year’s Dig In vegetables are basil, salad leaves, carrots, courgettes and French beans. Planting can start as early as March, with tasty recipe inspiration coming later in the year from top chef Nigel Slater. Alys Fowler’s new Edible Garden series on BBC Two will feature ideas for growing your own vegetables and Gardeners’ World will feature weekly updates from its Dig In garden, offering advice and tips to growers. Alys says: “Growing your own dinner, whether it’s a side salad, a whole meal or just some fresh herbs, is satisfying, inspiring and tastes divine. You can start sowing from March and continue right through to September, particularly with salads. CBeebies and the Green Balloon Club will also be encouraging younger viewers to get out and get planting, too. Seed-starter packs will be available for families who want to start growing their own vegetables for the first time from the CBeebies website – look out for details coming soon of when these will be available. 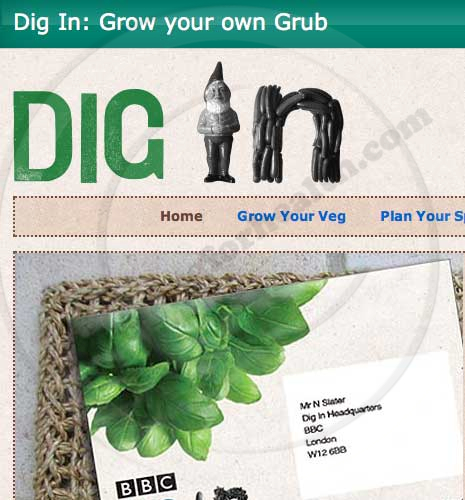 Each pack will contain five packets of Dig In seeds, a handy pocket-sized guide to growing your own veg and a Dig In sticker sheet. Adults should go to the Grown-ups section of the CBeebies website to complete the application form. The Dig In tour is scheduled to start this April and runs through the growing season until June and will offer tips and advice to first-time growers and allow more experienced gardeners to share their knowledge. The events will include demonstrations, potting activities, seed giveaways and entertainment, as well as a “veg doctor”, who will be on hand to answer any growing queries. BBC Learning is also committed to providing teaching resources to schools, running events in libraries and, this year, has forged a special link with The Scout Association and its 500,000 members in a bid to encourage even more young people to take part. Dawn Carter, an experienced Scout Leader in the South East of England, says: “Getting involved with the BBC Dig In campaign is a practical way for Scouts to earn their smallholder badge. 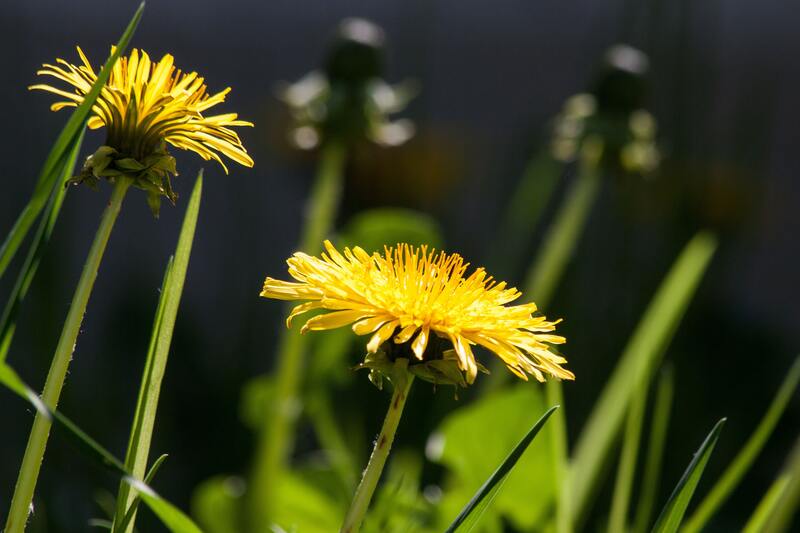 Dandelion Seeds – who would have thought!